Tens of thousands of books published each month, and we have room for about, ooh, 60 new ones - so how do we pick? In the good old days (or bad old days, if you're looking at these things from a financial point of view), we tended to sit down once a month, look through the new Gardners catalogue and try to spot those titles that we thought would go down well in the shop. We ordered them in, they sat there for a bit, and then - in the days before many customers - many of them went back (particularly hardbacks) as part of our returns allowance. As time went on, and we got to know our customers a bit better (and there were more of them), we became a bit more adept at spotting books that people would buy (luckily for us). But from day one we did something else: we began to talk to people about books, asking questions when taking orders (especially if the title looked intriguing, or where the author was unknown to us). At the same time, we started running our bookgroups, meeting with reps, getting hold of proof copies, having authors meet us in person - and we started to follow literary bloggers and review sites. 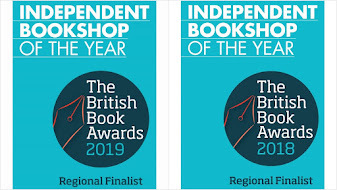 In short, we were building our bookshop intelligence network. We're still building it, and although it's not perfect (no network is), and even though it is constantly changing, it does occasionally give us an early warning system when a special book materialises onto the scene. This happened in the Autumn last year, when a customer came in (thanks Vicky!) and ordered a copy of a book by a new local author. When it arrived, it looked gorgeous, and one of our staff members ordered another, then whisked it home, then whisked it back to the shop a few days later begging everyone to read it. Eventually we loved it so much we made it one of our Christmas books. We also got in touch with the author, and so the first event in 2010 was welcoming Ali Shaw to the shop to talk about "The Girl With Glass Feet". Since our original 'discovery', the book has been shortlisted for the Costa First Novel Award, and has received rave reviews from lots of different quarters. It's also not doing badly in the US, and (as of last night) was the fourth most wished-for book on the IndieBound Wishlist. How lucky are we that Ali lives in Oxford and can get to us on a short bus ride? Ali talked about his experiences to date with writing, his many jobs (including working at Queens Park Books and The Bodleian) and the 'tricky second album' situation he currently faces (although he did promise to get the first draft finished the following week). As always, Gaskella has written a wonderful review of the evening here. 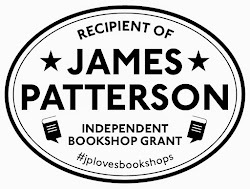 It's heartening to hear of bookshops that operate in this way - as a publisher, it often feels I am pushing t-shirts with slogans.